Vichy Catalan Spanish Sparkling mineral water is synonymous with good health, encapsulating the essence of Spanish culture Aqua Amore are proud to offer Vichy Catalan, Spain’s most famous water. Vichy Catalan was established in 1881, after the source was found to have given a great deal of energy to herds of goats that we attracted to the spring! It is a Naturally Sparkling water with a high mineral content and a distinctive taste. This premium water emerges from the ground at 59 degrees Celsius, imbued with minerals and possessing a which gives it a unique taste and character. It is unlike any other sparkling mineral water. It compliments certain cuisines beautifully, such as fatty cuts of red meat and also hard cheese. The water is rich in minerals from the heart of the earth, which coincidentally have been shown to lower cholesterol, thus benefitting the heart. It also has many other health properties. 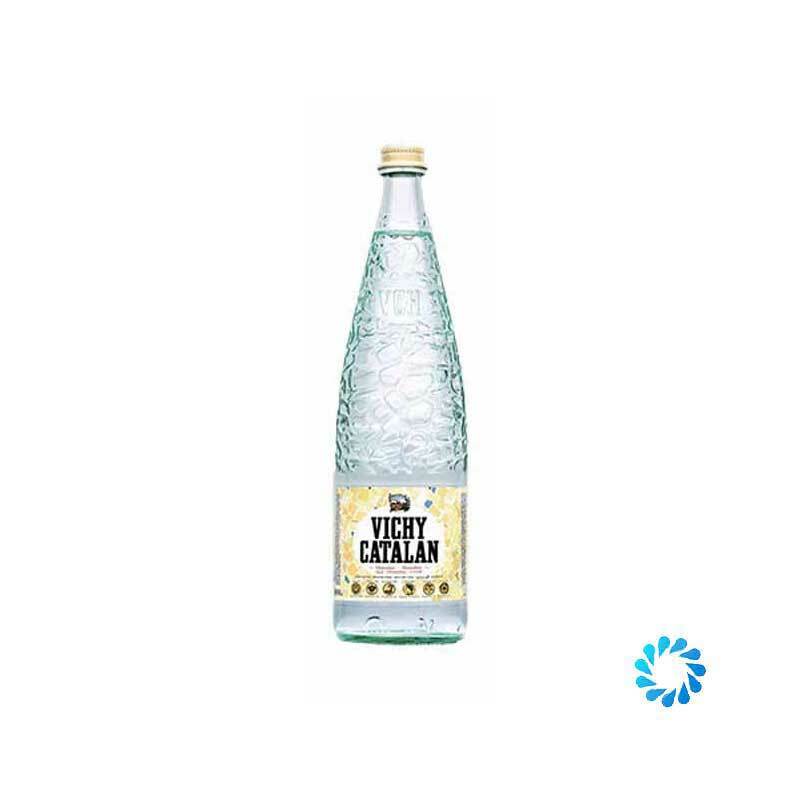 Vichy Catalan mineral water is good for you, containing 27 of the 34 minerals that the human body needs for good health. It has a strong reputation for exceptional quality and conducts ongoing research into the metabolism of cholesterol. Vichy Catalan water is very high in Sodium and Bicarbonates, which benefit digestion. Basic acid balance, nervous and muscular function. Nervous and muscular function, basic acid balance and metabolism of the water. Formation of bones and teeth, blood clotting, nervous and muscular function, normal heatbeat. Formation of bones and teeth, nervous and muscular function, activation of the enzymes. Vichy Catalan is noted for the macro and micro mineral elements in very interesting quantities from the nutritional point of view, such as potassium, magnesium, calcium, sodium, fluoride, lithium, iodine and molyhbdenum.